As our Manitoba climate varies from -35 winter temps to + 35 summer temps, employees struggle with proper hydration, warmth retention and extremes ranging from heat exhaustion to frostbite. Presentation will summarize each of the scenarios, symptoms and first aid and prevention. Management / employees that work in an outdoor environment year round and are exposed to extreme weather changes. Or anyone interested in this topic. Brian has been with Gerdau for 7 years. His position as a “Routine Facilitator” requires the flexibility to fill in as a supervisor when required as well as coordinate various safety related tasks such as procuring PPE, employee training, and coordination of safety presentations. Online Registration – it’s easy! Click here to register. Questions? Contact us at 204-295-1512 or office@ipam-manitoba.com. 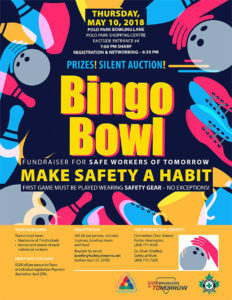 Participants will learn about the impact impairment can have on workplace safety. This presentation will provide information on how to respond to impairment in the workplace in light of the legalization of recreational cannabis. This beginner workshop will be particularly useful to employers, managers, supervisors and safety committee members with little to no previous knowledge on addressing workplace impairment. Michael Pogorzelec, MSc, studied microbiology and pharmacology and therapeutics at the University of Manitoba. He proceeded to work in the health insurance industry, and eventually moved to the Workers Compensation Board of Manitoba. Here, he worked in short-term claims, providing benefits to injured workers. He is currently a Prevention Consultant at SAFE Work Manitoba, the provincial public agency dedicated to the prevention of workplace injury and illness. Double Click on poster to expand. 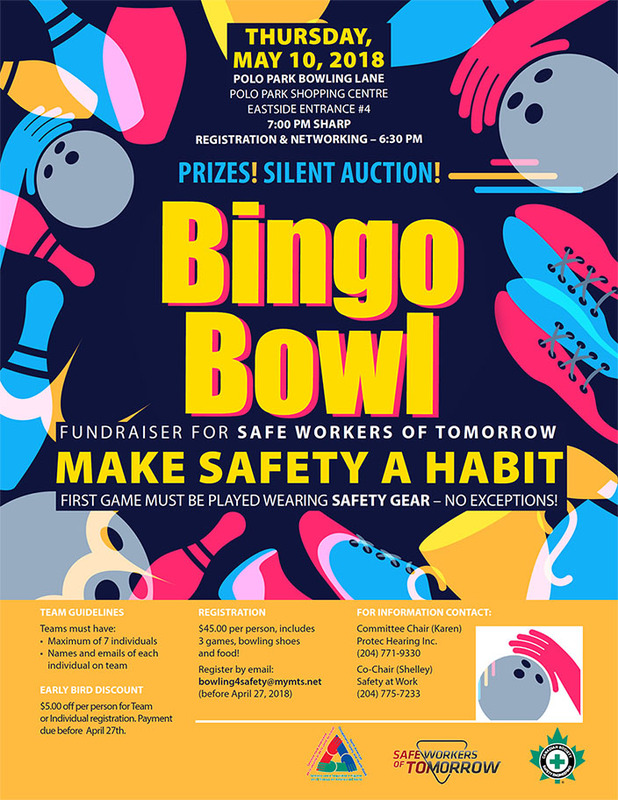 Learn what is available in exciting new safety frames and lens technology, and have an opportunity to try some on (there will be an assortment for demonstration). What you will learn. The focus will mainly be on the progressions and innovations made in safety eyewear (both frame and lenses). Safety eyewear was at one time kept unfashionable on purpose, so that it didn’t compete with other frames. There has been a huge evolution in the last 10 years and many people are probably not fully aware of what is now available. There will be a draw for a free pair of prescription eyeglasses for those in attendance, and a couple of runner up gift cards for 2nd and 3rd place winners! I have worked in the optical industry since 1999. I have experience in many different store environments, from expensive doctor’s offices to Walmart vision. Having seen many changes in this industry especially with the surge of online prescription eyeglasses, I sourced out my own inexpensive products and eventually in 2014 Eye GO Mobile Optical was born. We offer internet pricing plus professional service, and mobile services including safety eyewear to workplaces, and visits for people in care homes & hospitals. Committee members, safety professionals, anyone who has ruined their glasses by playing sports, painting, welding, weed trimming, etc. Business owners/managers who need to provide safety eyewear to their staff. March 2nd IPAM Morning Meeting Why Offer Preventative Health Assessments and Their Value in Your Workforce. Colleen Headland is an Employee Benefits Consultant at HUB International. Colleen has over 20 years’ experience in the insurance industry. Prior to joining HUB International, she worked as a sales consultant for a major insurance company and owned her own business. Colleen works with HUB Consultants to drive organic growth and maintain high retention levels for existing clients. She also works with the HUB leadership team to develop and execute marketing strategies for the organization. Orthopedic surgeon in Manitoba, Saskatchewan and Alberta for over 23 years. Previous president of the Manitoba Orthopedic Society. Previous Head of the Orthopedic Department at the Grace Hospital Medical school: Involved in teaching orthopedic residents as well as medical students. Royal College of Physicians and Surgeons in Ottawa served as Royal College Examiner. Served on WRHA Standards Committee as well as on the Manitoba Orthopedic Surgical Executive. Served on the Board of the Manitoba Clinic. Benefits of introducing a Preventative Health Assessment program for your workforce. Advantages of doing PHAs with proactive screening for the employer and employees. The value of PHA for the employer and for employees. Owner/Consultant-EP Safety and Health Consulting and Associates, Inc. Most Safety and Health Committees are formed merely to meet regulatory compliance. Does this make it an effective Committee? Not really. How do we ensure the committee function’s effectively and are successful in performing their roles and responsibilities? This session will provide information for employers process of choosing committee members to ensure they have the knowledge, skills and are able to carry out their responsibilities. and most importantly with active management support. – Delivers and designs targeted (not generic) OHS program development, education and training, specific to the needs of the employers, thus ensuring effective knowledge transfer specific to the audience; creating a balance in safety and productivity goals. Founder/Executive Director – Association of Safety and Health Specialist in Manitoba and currently seeking support for membership.